I saw one of those recipe videos on Facebook one day last week for Italian Meatballs and I’ve been craving them ever since. 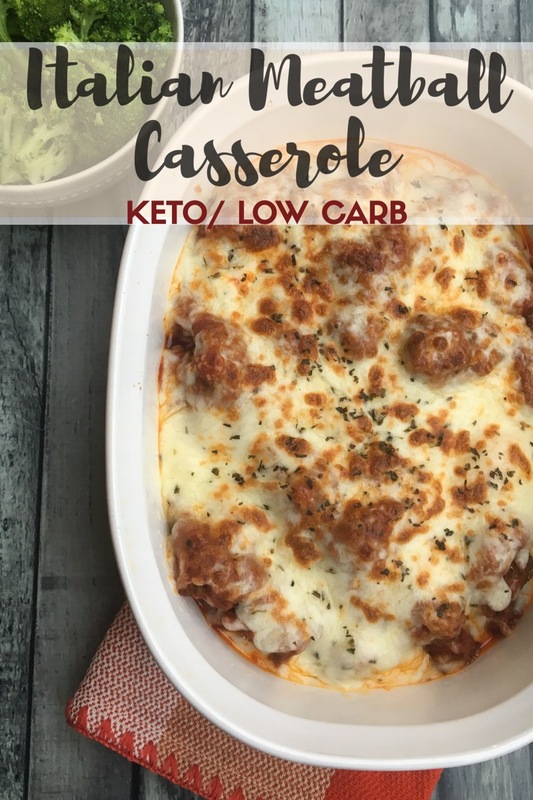 Since I had made BBQ meatballs before, I knew it would be easy to make a couple of changes to the recipe to make keto/low carb Italian Meatballs. Since we were spending the day at home, I prepared the meatballs earlier in the day, fried them in oil on the stove to sear in the juices, then popped them in my crock pot with a jar of spaghetti sauce to simmer the rest of the day. Usually, Italian Meatballs are served over noodles, but instead of making a noodle substitute tonight, we just ate them right out of the casserole dish with a side of buttery broccoli. Having been following this way of eating now since May, I don’t even miss the noodles. Crazy huh? I have found it to be true that many of the cravings stop after your body becomes fat adapted. 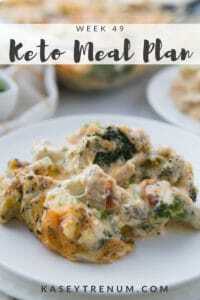 If you’d like to eat with a keto/low carb noodle substitute you could serve it over spaghetti squash (how to roast a spaghetti squash here) or with zucchini zoodles. Here’s a little tip if you like to save as much time when cooking, don’t even worry about rolling out the meatballs. 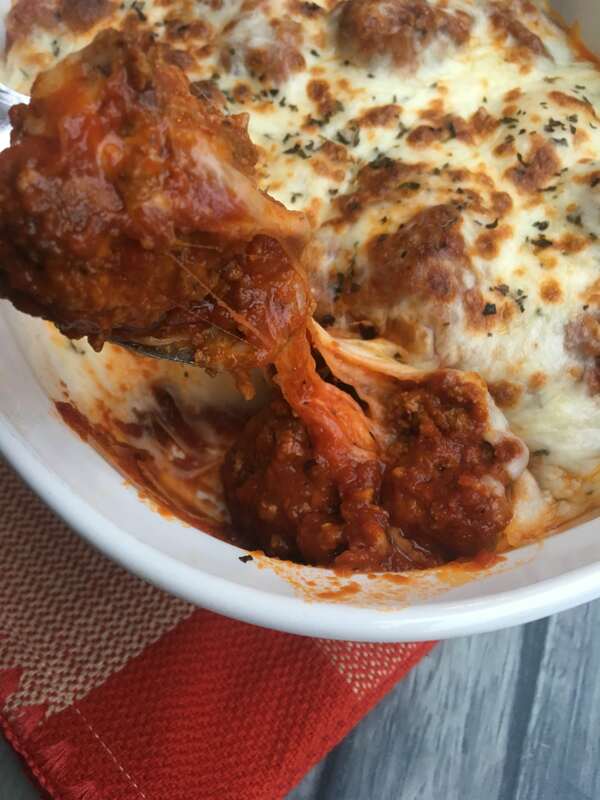 Just get a big cookie scoop or ice cream scoop and pack the meatball tightly against the side of the bowl before dropping it into the oil to fry. I can’t stand touching raw meat, so this is my lazy girl solution. Also, if you wanted you could skip the last step of browning the cheese in the oven by adding the cheese in the crock pot and allowing it to melt. Personally, I think cooking the meatballs in a casserole dish in the oven is worth it. There is just something about the cheese being all browned that makes it taste so much better. Combine all ingredients except the last three ingredients in a bowl and stir to combine. Heat a cast iron skillet on medium on the stove. Cover the bottom of the skillet with ¼ inch coconut oil. When the oil gets hot, scoop meatballs with a cookie scoop into hot oil and brown. Once the meatballs are browned, place in the bottom of a crock pot. Pour spaghetti sauce on top of the meatballs. Cook on high for 2-3 hours or low 4-5. 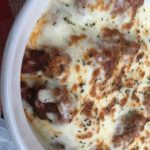 Scoop out meatballs into a casserole dish. Sprinkle mozzarella cheese then basil on top. Broil in the oven on the top rack for 2-3 minutes or until the cheese starts to bubble and brown. How much Parmesan cheese? It just says 1/2. It should be 1/2 cup. Thanks so much for bringing it to my attention. Would this be okay to make then freeze? Thanks! I haven’t frozen it before, so I can’t say from experience. I would think so, though. Yum! This would be great with some zoodles! Thanks for sharing. What are the cooking instructions if you just want to bake it in the oven and not in the crock pot? I have only tested this recipe as it is written. Everyone’s oven can definitely vary in temperature and how fast it cooks. Thanks for the tip. Thanks for posting the oven times! I baked mine for 20 minutes without the cheese, then added the cheese for the last 10. I used a meat thermometer to check for done-ness. Cheese was perfectly melty and stretchy. What type of low carb spaguetti sauce did you use? Rao’s is the lowest carb I have found. Can you bake it instead of doing it in the crockpot? I’m sure you could, but I haven’t tested it for bake time. You will just need to experiment. Does anyone know where to get low carb spaghetti sauce? You can try Amazon or your local grocery store or whole foods type store. Also, I saw it at Walmart. Just saw it on special for $4.99 at Sprouts! You can find Rao’s (marinara is what I used) at Walmart. 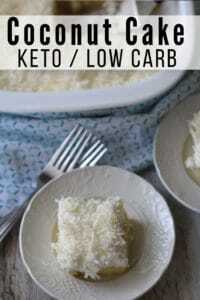 Low carb and tastes great! What is the nutritional breakdown? 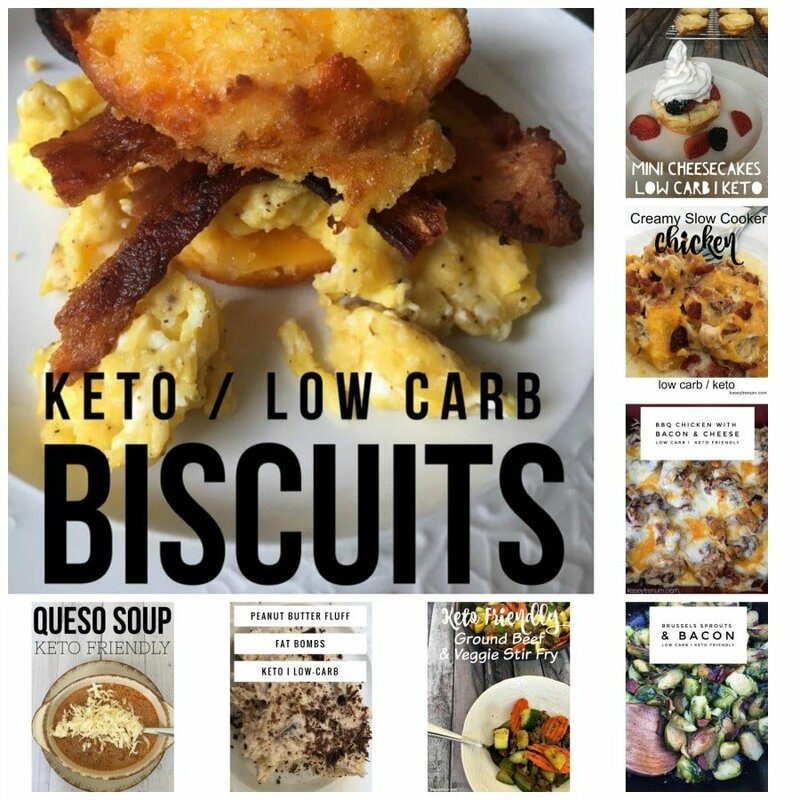 My husband and son are now Keto freaks, so every carb. counts!! THat information is in the post under the recipe box. However, it is based on the exact ingredients that I used. 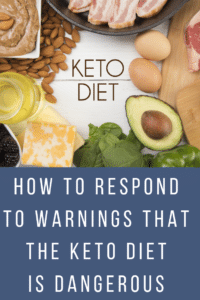 If they are Keto freaks and every carb counts you probably want to figure out your own macros based on the ingredients you use. Will be making this a lot in the future. Awesome! Glad you all enjoyed it! About how many meatballs per serving? That will depend on how big you make the meatballs. I just divide the servings out evenly. How many meatballs is this recipe supposed to make? That is up to you and how big you make them. I didn’t count them or measure. I used a small cookie scoop to make them because I don’t like huge meatballs. Hi Kasey! Is the crock pot really necessary here? Couldn’t we just fry the meatballs and prepare the dish for the oven straight away? Thanks. No, it is not. It mainly allows me to prepare the meatballs in the morning when I have a few minutes so that they can cook all day and get really tender. I have four kids so anything I can do that makes dinnertime quicker is what I do. You have never been added to this site. They only way you can get to it is through typing in the URL or clicking a link. If you’re in Texas, the HEB brand of Marinara, Spicy Red Pepper and Tomato & Basil have 4g of net carbs per serving. Easy on the budget too. 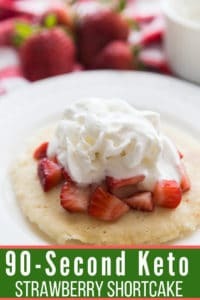 I am making these tonight with cauliflower mash and some green beans…yum…thanks for the recipe ? If I want to use almond flour instead, how much do I use? I also enjoyed the cookie scoop! Made it SO easy and I did mix it together initially with my hands but I sure didn’t want to roll out all those meatballs. It’s cooking now! Where exactly is the coconut flour used? Made this tonight was absolutely delicious. Meatballs were so tender and flavorful. Whole family loved it. 375 for 30 minutes in the oven after browning. Awesome! So glad you all loved it! Hi Kasey! Just wondering if you used fresh minced onion or the dried spice type. Thanks! Just wanted to say how delicious this was!! Also, is the nutritional information for the entire recipe or per serving. Fitness pal says 1 recipe so i just wanted to clarify!!! Thank you!!! Glad you enjoyed! Nutritional information is per serving. 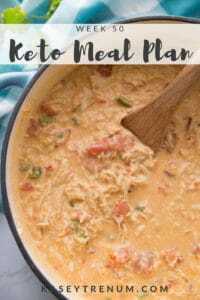 I absolutely LOOVVEE this recipe, family asks for it multiple times a month!! I add fresh chopped onions and usually make larger portions because they devour it! Thankyou for sharing this! Perfect! So glad everyone loves it. I made this tonight and should have already though comments. I had forgotten this was a crockpot recipe so into the pressure cooker mine went to get the same outcome in less time. I cooked for about 20 mins on medium heat and it was all good and tender! GREAT recipe! Thanks for sharing! Do you brown the meatballs until completely done in the center or until they’re just brown?